It was one of those February days that seemed to get hotter with every passing hour, and the searing, north-westerly wind blew the fine red sand across the road like snow drift off a Himalayan mountain. The temperature had been above forty degrees since nine o'clock that morning and would probably stay there until well after sunset. 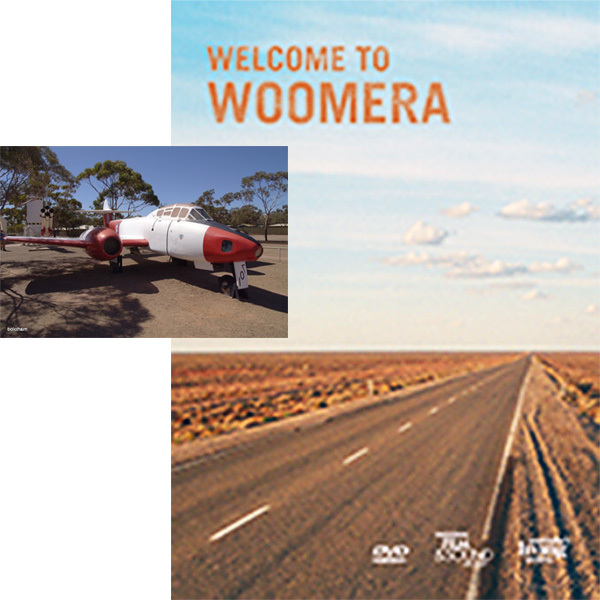 I was working as a technician in the Servo Optical Section, on the Woomera Rocket Range, South Australia, and it was mid summer 1966. It was almost three thirty and I was still about sixty five kilometres from the Range Head, my destination. The Ford Falcon station wagon was only a few months old and moving along quite nicely at about one hundred and twenty kilometres an hour. This was considerably faster than I would normally drive and certainly much faster than regulations allowed. To catch the six minutes-past-four bus to the Village, I needed to be in our building at the Range Head by four o'clock, where I had to check in the rolls of film from the day's trials, complete some paper work and fill in my time sheet. It would be close, but with a little luck, I though I might just make it. The road was two-lane bitumen, and there hadn't been another vehicle in view since leaving the Site Eight camera post, twenty minutes earlier, so I thought it was pretty safe to travel at that speed. The photographic staff had left Site Eight by helicopter a few minutes after I had, and passed me as they headed straight for the Village, nearly one hundred and thirty kilometres away. With one eye on the road and the other on the speedo, I reached the top of a small rise and looked out at the endless black ribbon that disappeared into the heat haze on the horizon. At this time of the day, in summer, heat haze was to be expected so I ignored it and thought of more pleasant things. A few seconds later I glanced again at the horizon and thought that in some way it looked different, more red than normal. As I continued to stare at the shimmering image, it began to take shape until I realized to my horror that it was an aeroplane. But what was a red and white Gloucester Meteor doing flying just above the road? Suddenly it occurred to me that the pilot might be in trouble and intended to land on the road despite the fact that I was right in his path. A Meteor is not a particularly large aircraft but is still much bigger than a Ford Falcon and, at something like three hundred kilometres per hour, it was up to me to get out of his way, and fast. My first thought was to jump on the brakes and come to a stop, but that would mean I was still in the path of the rapidly approaching Meteor and still very vulnerable, so the only thing to do was head for the bush. The centre, sealed portion of the road was hard and flat but the unsealed edges sloped away steeply for about two metres and, at the bottom, there was a dirt mound about thirty centimeters high which helped direct any run-off towards a deeper channel, which then ran off into the bush at an angle of about forty degrees. We hit the mound with a terrible thump and I heard a 'crunch' come from the suspension as it bottomed. The Falcon then leaped into the air like a cork out of a bottle and flew some metres through the low salt bush as it headed towards the channel. When we reached it the suspension gave another sickening groan as the shock absorbers hit their limit stops and we became airborne again. It was about then that I remembered what I had on the back seat. There was a very expensive and delicate instrument called an oscilloscope, a large mechanical multi-meter in a leather carry-case, my canvas tool roll and six cans of used film. The oscilloscope was fairly heavy and more or less stayed in the same spot, but everything else was flying around inside the wagon, and I wondered just how long it would be before something struck me a fatal blow in the back of the head. The next time we hit the ground, I thought the tyres would surely burst or the suspension collapse, but everything seemed to hang together, so I just gripped the steering wheel harder, hung on for dear life and prayed that the engineers at the Ford Motor Co. had done their stress calculations correctly. By this time, my speed had reduced considerably and I was able to regain some control over the flying Falcon, as we crashed and bounced our way through the scrub. I applied the brakes as hard as I dared and, as we came to a halt about twenty metres further into the bush, I was aware of a red and white blur as it flashed past and zoomed effortlessly up into the wide blue yonder. I don't know how long I sat there, probably not much more than a couple of minutes, but it felt much longer, like half a lifetime or more. Then I got out of the wagon to inspect for any damage. To my amazement, everything, including the tyres, seemed to be intact, so I cleared a path through the salt bush and re-growth, which took about ten minutes, then carefully inched my way back to the road, where closer inspection showed that the muffler had been flattened and pushed back a little and there were bits of undergrowth attached to the suspension and differential housing. The remainder of the journey was rather slower than the first portion and I couldn't help thinking how lucky I was to be wearing khaki trousers and to have survived unmarked. Most of the time though, I thought how I would like to get my hands on that smart aleck R.A.A.F. pilot who, that night, would repeat the story to his mates in the Officer's Mess, of how he scared the living daylights out of some poor idiot in a blue Falcon Station Wagon. I imagine he scored quite a few drinks at my expense.